As a world traveler and a lover of reading history, I often came across the name Antioch (Antakya) in almost all of the history books I have read. The Cave Church of St. Peter. I have visited the modern city of Antioch more than ten times, and everytime it feels like a small peaceful town. But the history of this city is what keeps drawing me back, teaching me more and more each time. 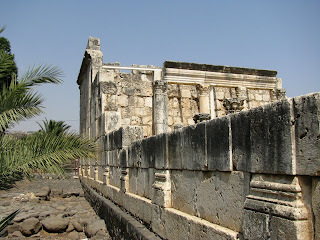 I keep going back to Antioch, to smell and touch the ancient times of this special place. Antioch was once one of the centers of the entire world. Founded in the 4th century BC by Seleucus I Nicator one of Alexander the Great’s Generals, it remained a favorite city for many Greek and Roman Emperors. Antioch is located today in Turkey, about 15 miles inland from the Mediterranean Sea. What has always fascinated me the most about this ancient city, is that the word “Christianity” started from here. (Acts 11:19-26) The big names of the New Testament and the founding fathers of Christianity were also here: St. Peter, St. Barnabas and St. Paul preached here, St. Luke, the author of the Gospel of Luke and Acts of the Apostles was born here, the first cave church was carved here, and the list goes on and on…. The population of this great city shrank to 35,000 in 1935, but today there are now 200,000 inhabitants. It still feels like a small peaceful town. Nowadays, Antakya in southern Turkey is famous for its unbeatable cuisine and the hospitality of its kind residents who welcome visitors from all over. Chicken baked in salt rocks, one of Antakya's famous dishes. 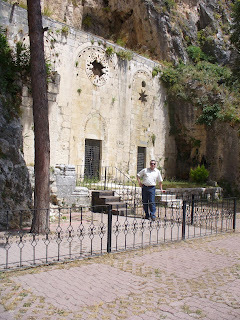 Antakya is still unknown on the modern tourist map and by many tour operators. I invite you to visit and stay in this great city to enjoy the fragrance of the past, unique shopping, delicious food and a nice walk along the Orontes River. Visit Antioch when you add Turkey to your Holy Land experience through Beyond Bethany Tours. *All pictures taken by Zaid Al-Kurdi.